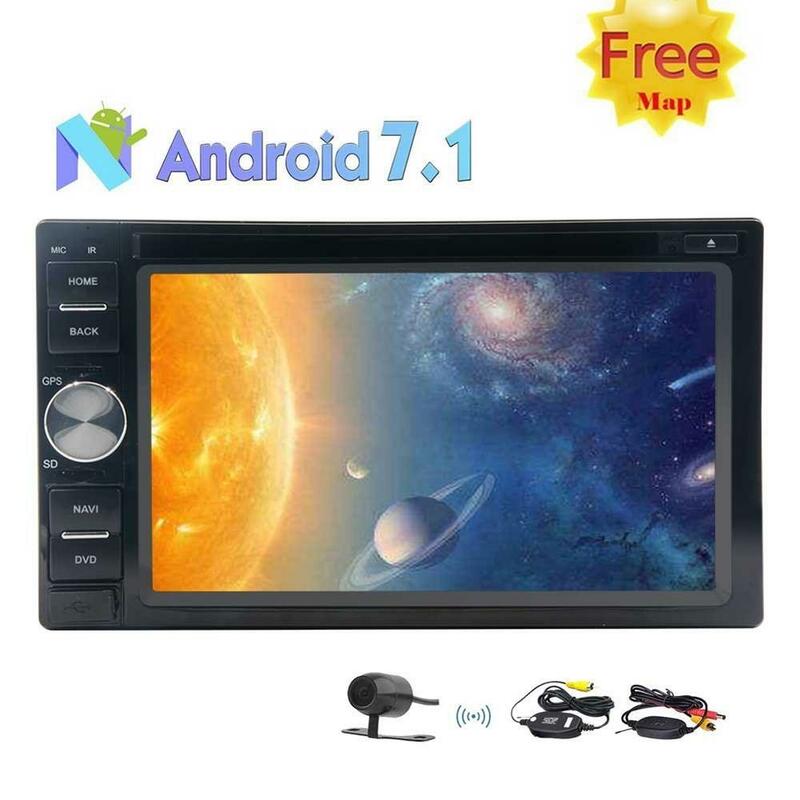 With 4.0inch touch screen and number key pad, mobile phone outlook and easy to operate. 8MP camera, satisfied you taking high quality photos. Open android 7.0 platform, support Java and Eclipse.SDK is free. 4000mAh long life battery, keep longer work. Factory price, help you win the market in your place. S802 barcode reader-1pcs;usb data cable-1pcs:charger-1pcs;battery-1pcs;hand strap-1pcs. Read goods’barcode information, real time transmission the information with the background database, access information on time. Centralized processing of orders, improve efficiency and accuracy. Can be used for clothing, medicine, tobacco and alcohol, home building etc materials purchase and distribution. 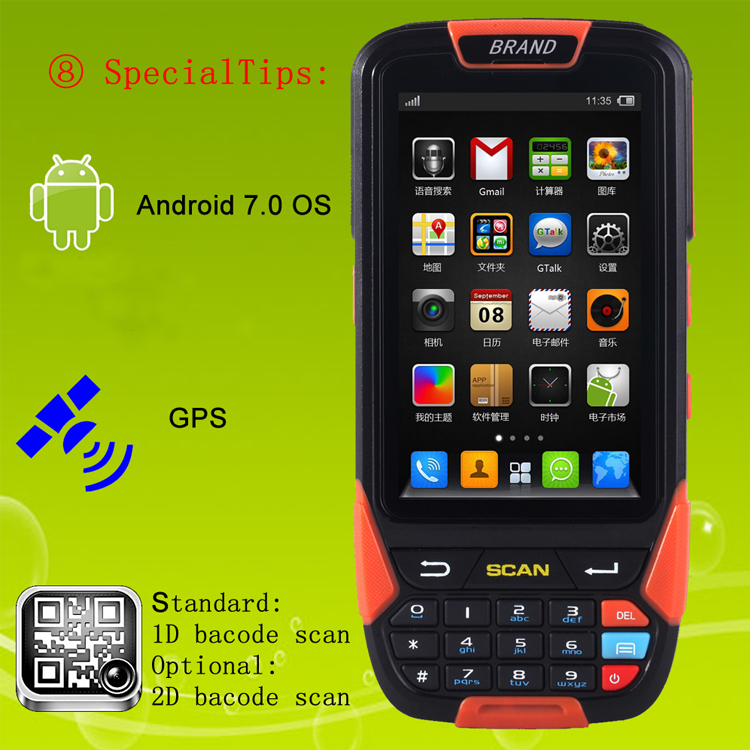 The Use mobile handheld terminal, scanning the bar code of the goods, can be the way the warehouse data wireless import, to achieve production storage, warehouse sales delivery, transfer out of storage, store receipt and delivery, product validation, bar code control and warehouse inventory and other business Features. Question 1: Can i put my logo on the device? Answer: YES, you can but MOQ is 20pcs .. Question 2: How long is the delivery time ? Answer: Device leader time is about 3-4 days, Delivery time is about 4 days by DHL. Question 3: Where can i get SDK? Answer: Pls leave your email address after your order, we will send SDK to your email box..
.Question 4: How much will wrote on the shipping invoice? Answer: To help you pay less to your country custom, we will write only 50usd/pc in the Shipping invoice. If you need original price, pls contact me. Question 5: Can the charger base/cradle Synchronization with the computer? Answer: No, the cradle/base only can charge the device and a battery together, but can not synchronization with the computer. You can use the USB cable to connect your computer, just like our phone. Less than 10pcs samples are applied each time for our clients, the price is obviously a little bit higher than the wholesale price. But If you want more than 100pcs, it\'ll be much cheaper. However,the more you order,the lower production cost it\'ll be, so the cheaper price you\'ll get. All the price is excluding the freight fee. Color issues: All the PDA products are 100% absolutely objects photographed,but because of the Camera-technology, Light,Pixels and other factors, there\'ll be a little bit difference with the real product. Please take the real goods for reference or make sure with our sales in advance. Qualifications: Our PDAs are produced according to the ISO9001 quality management system, and all the products have passed through IP65,CCC,and ROHS. 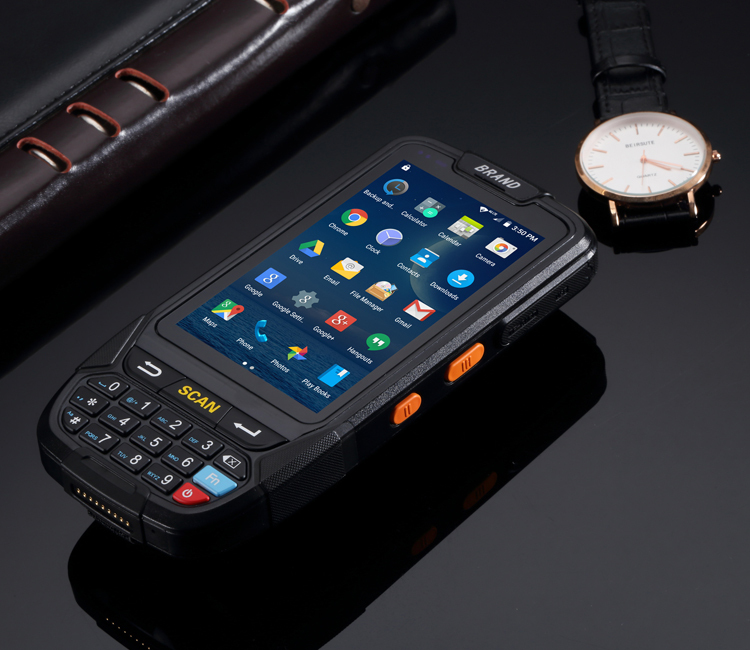 If you want PDAs like S802 which are always in stock,it may needs 4-5 days to delivery. If you want OEM/ODM products with particular functions, it may needs 15 days more to produce and delivery. More specific details. please contact our sales. We always choose the competitive and safe shipping agent like DHL,UPS and Fedex and any other designated shipping agent by the customers. If it goes smoothly with the customs clearance, you\'ll get the goods in 4-7 days. We support 13 months warranty,during this period,it\'s exactly FREE to replace you a quiet new device terminal if your machines have serious irreversible functional damage. Freight fare is half paid of the round trip by both sides. Customer pay the freight fee when they are sending the machines to china,and we\'ll pay it when returning them back to the clients.